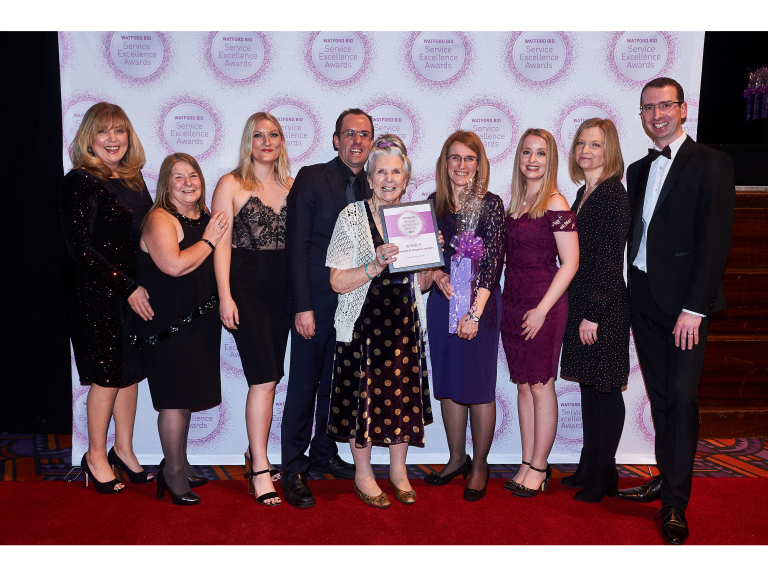 Peace Hospice Care were announced winners of the Community & Voluntary category at the Watford BID Service Excellence Awards 2019, on 12th February, at Watford Colosseum. The annual awards recognise excellence in customer and client service in Watford town centre. Run by Watford Business Improvement District (BID), businesses across 15 categories were awarded for their exceptional service following the results of a public vote, an independent mystery shopping visit and customer exit interviews. Watford Business Improvement District (BID) was set up in April 2016, after businesses voted on its creation in October 2015. The BID sees a diverse range of businesses in the town centre join forces for the greater good of the town. The BID is funded by Watford town centre businesses in the form of a levy. The BID aims to improve the town centre so that it excels as a place to work, a place to do business, a place to shop and a place to visit. Communications for Peace Hospice Care.